This article has been written to explain more about what is the .waifu variant of Dharma ransomware, how to remove it from your PC and how you can try to restore .waifu, encrypted files. Yet another variant of the notorious Dharma ransomware virus has been detected, this time using the .waifu file extension, which it adds to the files, encrypted by the virus. 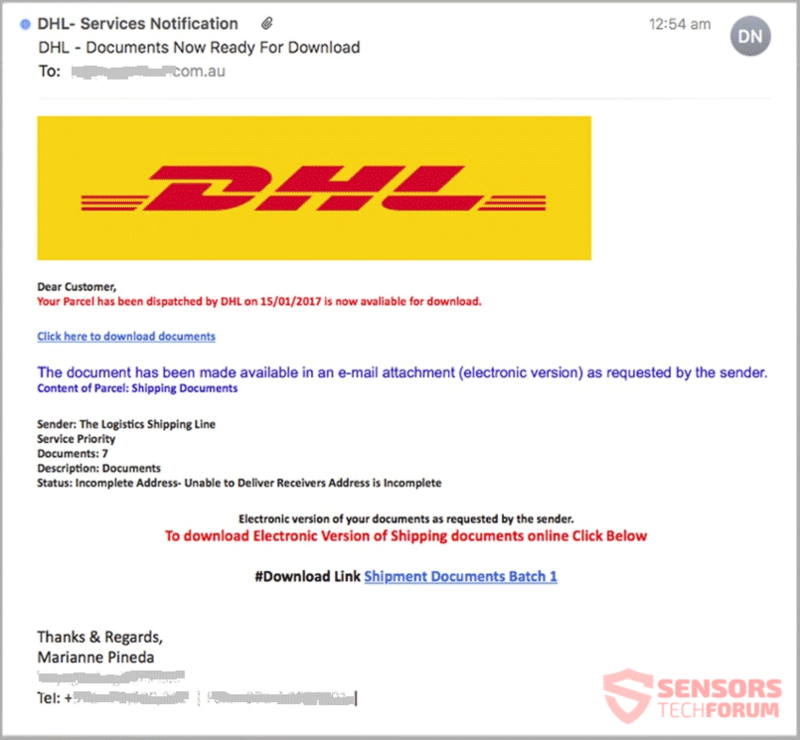 The new variant of Dharma is a part of a recent wave of variants of the same virus, which could be a sign of the malware being spread as a RaaS (Ransomware-as-a-service) on the deep web. The new Dharma variant is also the type of virus, which leaves the files with a unique id, plus leaves the e-mail of the crooks to contact them in order to pay a hefty ransom in order to get the encrypted files recovered back to their original working state. If your computer has been affected by the .waifu Dharma ransomware virus, we recommend that you read this article and learn how you can remove this Dharma variant and how you can restore files, encrypted by it on your computer. Short Description A variant of Dharma ranosmware. Encrypts files on your computer and then holds them hostage until a ransom is paid. Symptoms Files are no longer able to be opened and have the [[email protected]].waifu suffix added to their names. User Experience Join Our Forum to Discuss .waifu Dharma Virus. Suspicious activity on your account. Something that is work – related. A CV of a new employee. In the events that the malicious files, belonging to this variant of Dharma ransomware have been spread in .pdf or .docx or .docm formats, they are linkey=d documents that seem legitimate but can infect your PC via malicious macros, once you enable the editing of those documents. Furthermore, in addition to this, the .waifu variant of Dharma ransomware may also have it’s infection file uploaded on the web and pretending to be a legitimate setup, patch, crack, portable version of a program or any other similar software. The .waifu variant is very similar to most Dharma ransomware viruses we have detected so far, except the first one, which was decryptable. The ransomware uses two main infection files, which were uploaded and tweeted by researchers. Once the files are detected, the .waifu variant of Dharma uses the same encryption model as the variant it’s based on, which first used the .cezar file extension. The files are encrypted with the AES cipher, which generates a decryption key that is used effectively only by the cyber-crooks after the victim pays the ransom, which is requested in cryptocurrency tokens, like BitCoin or Monero. Paying the ransom is not among the recommended things to do, since you cannot trust these people to recover your files. Before starting any removal process, we strongly advise you to backup your files, even though they can no longer be opened. And not only this, but we also recommend that you learn how to safely store them(https://sensorstechforum.com/safely-store-your-important-files-and-protect-them-from-malware/) in the future, to prevent any damages. To remove Dharma ransomware, you are welcome to follow the removal instrucitons down below. They are created to help you delete this malware either manually or automatically from your PC. Be advised that if manual removal is not something you feel confident in doing, we strongly recommend that you remove Dharma by using an advanced anti-malware software. Such tool aims to automatically scan your computer for any files, objects and settings that are malicious and then make sure that they are safely removed from your PC. If you want to restore .waifu, encrypted files, you can try to use the alternative methods in step “4. Try to restore files, encrypted by .waifu Dharma virus”. They are not a 100% guarantee to recover all your files, but their main idea is to help recover as many files as possible. Threats such as .waifu Dharma Virus may be persistent. They tend to re-appear if not fully deleted. A malware removal tool like Combo Cleaner will help you to remove malicious programs, saving you the time and the struggle of tracking down numerous malicious files. Threats such as .waifu Dharma Virus may be persistent on your system. They tend to re-appear if not fully deleted. A malware removal tool like SpyHunter will help you to remove malicious programs, saving you the time and the struggle of tracking down numerous malicious files. Note! Your computer system may be affected by .waifu Dharma Virus and other threats. SpyHunter is a powerful malware removal tool designed to help users with in-depth system security analysis, detection and removal of threats such as .waifu Dharma Virus. 1. Install SpyHunter to scan for .waifu Dharma Virus and remove them. 2. Scan with SpyHunter, Detect and Remove .waifu Dharma Virus. Ransomware infections and .waifu Dharma Virus aim to encrypt your files using an encryption algorithm which may be very difficult to decrypt. This is why we have suggested several alternative methods that may help you go around direct decryption and try to restore your files. Bear in mind that these methods may not be 100% effective but may also help you a little or a lot in different situations. Note! Your computer system may be affected by .waifu Dharma Virus or other threats. Remove .waifu Dharma Virus by cleaning your Browser and Registry. Fix registry entries created by .waifu Dharma Virus on your PC. Combo Cleaner is a powerful malware removal tool designed to help users with in-depth system security analysis, detection and removal of threats such as .waifu Dharma Virus. Step 5: In the Applications menu, look for any suspicious app or an app with a name, similar or identical to .waifu Dharma Virus. If you find it, right-click on the app and select “Move to Trash”. Step 6: Select Accounts, after which click on the Login Items preference. Your Mac will then show you a list of items that start automatically when you log in. Look for any suspicious apps identical or similar to .waifu Dharma Virus. Check the app you want to stop from running automatically and then select on the Minus (“–“) icon to hide it. Remove .waifu Dharma Virus – related extensions from your Mac’s browsers. A pop-up window will appear asking for confirmation to uninstall the extension. Select ‘Uninstall’ again, and the .waifu Dharma Virus will be removed. When you are facing problems on your Mac as a result of unwanted scripts and programs such as .waifu Dharma Virus, the recommended way of eliminating the threat is by using an anti-malware program. Combo Cleaner offers advanced security features along with other modules that will improve your Mac’s security and protect it in the future. Hey !, I found this information for you: ".waifu Files Virus (Dharma Ransomware) – Remove + Restore Files". Here is the website link: https://sensorstechforum.com/waifu-files-virus-dharma-ransomware-remove-restore-data/. Thank you.